A Pokémon will Faint when its HP is reduced to zero. Fainting usually occurs in battles, when a Pokémon takes too much damage from its opponent's Moves. To avoid taking damage, players can attempt to Dodge attacks. A Fainted Pokémon cannot battle, nor have its HP replenished by Potions. Before becoming eligible to battle again, a Pokémon must first be Revived and then restored back to full health. 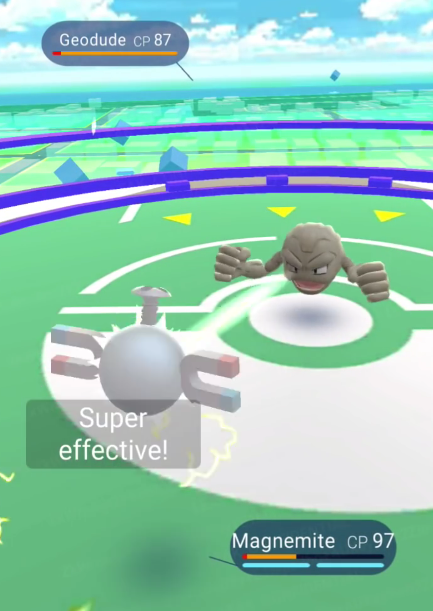 Max Revives can be used to Revive Pokémon and restore them back to full HP. These can be found at Pokéstops. Note: If a defending Pokémon is defeated at a Gym a certain number of times it will faint and automatically be sent back to its owner.